Hello! There is so much going on in my head at the moment here in Edinburgh, where I am curled up in the beanbag room of a backpacker hostel, cup of Earl Grey in hand, listening to the sounds of birds chirrupping (I genuinely don’t know if the sounds are authentic or just a beautiful dream-state soundtrack they play in this room on loop; it’s highly possible there are birds nesting in the enormous window frames. Pretty sure it’s real, actually). Out of the windows are old, old buildings and history, with the castle nearby. I love Edinburgh. I love meeting other models, too, and have enjoyed hanging out with Roswell Ivory and Fredau. Being in the company of people who share a similar lifestyle is such a relief, sometimes. I loved a little less the fact that the rain, upon arrival, immediately got into my boots (both pairs I’d brought along with me to Scotland), requiring me to dry my socks on Barrie Spence’s studio radiator two days in a row, then initiating a disintegration process in one of the pairs that somehow involved the gradual apparition of a pungent red, ironic powder in the sodden sole (non-durable shoes; a sacrifice I make in refusing to purchase leather). So I ended up shopping for ankle boots in a season which, fashion-wise, lays emphasis on flip flops and open-toe ballet pumps. Luckily, I managed to resist buying my chihuahua a kilt from one of the souvenir shops I happened to pass through. It took a lot of restraint. 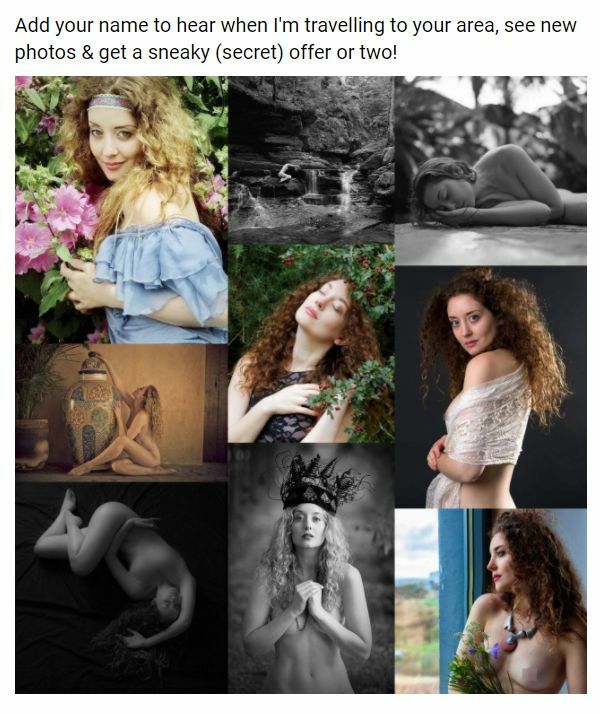 Anyway, I wasn’t planning to say much in this blog post, so I will be quiet, and show some images recently sent to me by Vanijzen, a photographer I enjoyed working with in Amsterdam. I was given a suspended plank – a table top – and left to my own devices while we listened to some chill-out electronica-ish music. I found the session quite therapeutic.